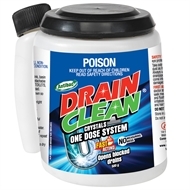 Fast acting caustic based drain cleaner in the form of crystals. Slowly tilt jar upside down to fill chamber. Remove cap and dose crystals down drain to be treated. 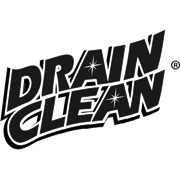 Wait 15 minutes and flush drain with COLD water. READ SAFETY DIRECTIONS BEFORE OPENING OR USING. NOT TO BE TAKEN. AVOID CONTACT WITH EYES AND SKIN. WEAR SAFETY GLOVES AND EYE PROTECTION BEFORE HANDLING CRYSTALS.